Phoenix Suns @ Indiana Pacers NBA Betting Preview for Tuesday. January 15, 2019. Written by NBA ATS Betting Analyst Al Presto. Charliessports.com produces it for Basketball Betting. Daily NBA Point Spread Picks are the best in the industry and will continue through the NBA Finals in June of 2019. The (11-33) SU, (24-20) ATS Phoenix Suns have won two of three including a 103-93 victory over Western Conference frontrunner Denver as 8′ point home UNDERDOGS ATS. Kelly Oubre jr led the Suns with 26 points, and they outscored Denver 52 to 36 in the paint. Phoenix took a 60-47 lead into halftime, and although the Nuggets held them to 42 second-half points, it wasn’t enough. Phoenix is 5-5 ATS their last ten following an SU win. UNDER bettors have a made profits in 5 of the last six between the teams. The Suns have covered their last 2 AGAINST THE SPREAD on the road. The UNDER is 4-1 Phoenix last five overall. 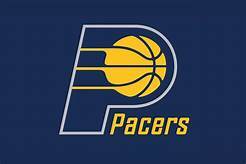 The (28-14) SU, (22-10) ATS Indiana Pacers took down the New York Knicks 121-106 as 8′ point road FAVORITES AGAINST THE SPREAD on Friday. January 11th, ending a five-game road trip. Center Domantas Sabonis poured in a team-best 22 points while grabbing 15 rebounds in victory as Indiana outscored the Knicks in all four quarters. OVER bettors have cashed in nine of Indiana last ten overall. The Pacers are 1-5 ATS their last six overall. Indiana is 4-0 ATS the previous four times the teams have met. UNDER bettors have made profits 16 of the Pacers last twenty-seven following an SU win. Tuesdays game is 7:00 PM EST at Bankers Life Fieldhouse in Indianapolis, Indiana. The Local Network will be broadcasting. The Betting Line has Indiana as 10′ point home FAVORITES ATS. The TOTAL is 219 points for Tuesday’s contest. The Phoenix Suns have won two of their last three both SU/ATS as they hit the road after playing eight of nine at home. They’re 4-16 SU on the road this season and tonight begin a stretch of four straight away from home. Phoenix looks for revenge on a 109-104 PAcers victory on November 27th loss in the Valley of the Sun as the two teams play for the final time this season. Guard Devin Booker has missed the past three games with back spasms, and his status is questionable for tonight’s contest. The Suns are 1-2 AGAINST THE POINT SPREAD as a 10 to 10′ point UNDERDOG, but they’ve shown progress dropping 1 of their last ten games by more than ten points. 2018 number-one overall draft pick DeAndre Ayton is embracing his role as the future of the franchise, the former University of Arizona standout isn’t backing down to anyone in the post. 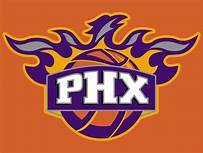 A win tonight against an Eastern Conference front runner would serve as a confidence booster for the youthful Phoenix Suns. The coaching staff is emphasizing the results of playing tight defense an entire four quarters, and that’s what they did against the Nuggets. Forward Josh Jackson understand the to pull off an upset tonight against an Indiana team that has been scoring a lot is to play efficiently at both ends of the floor the entire game. Bovada.Lv list the Phoenix Suns win total at 29′ games for 2018-19. With Myles Turner who’s the league’s leading shot blocker out of the lineup, the Indiana Pacers had to adjust, and they went 1-3 ATS with Turner out of the lineup, which shows his value to the franchise. The former University of Texas product hopes to return tonight but is a game-time decision. Indiana hasn’t played since Friday and should be well rested after returning from a five-game road trip in which they allowed 135 points to Boston, the highest scoring output against the Pacers this season. Head Coach Nate McMillan take a defensive approach, but without Turner in the lineup they gave up 120 points or more in three of the four road games. POINT SPREAD bettors who are enamored with Indiana now understand the value of Turner in the lineup; his ability to adjust shots is why they usually play at a lot slower than when he’s not on the floor. All-Star guard Victor Oladipo needs to get back on track after getting held under 20 points the last four, all without the services of Turner, showing how he affects the entire landscape of Indiana. This Sports Handicapper believes the Pacers are going to be in for a battle tonight with the Suns Kelly Oubre finding a comfort zone in Phoenix since the trade from Washington. Bovada.Lv list the Indiana Pacers win total at 47′ games for 2018-19. Free Pick. Phoenix+10′. Also Play Online Poker Plus Other Casino Games and enter some of the best Tournaments on the World Wide Web. Can the Dolphins tip the AFC East balance of power against the Patriots? In 1978 the NFL increased its regular season schedule from 14 to 16 games per team. In 2002, the league realigned to form four divisions per conference, four teams per division. While 24-years apart, the two events combined to effect a permanent change on the league. Divisional rivalries were reduced, exerting lesser influence on the season. Whereas GMs once drafted and coaches schemed to beat their rivals, they now had to take the entire league into account. Other influences contributed, such as increased player movement and domed stadiums in cities with extreme weather, but the net effect was a homogenized league. One team’s success was copied by 31 others. The respectively unique characteristics of the NFC Central and AFC West disappeared. Jim Kiick, Larry Csonka and Mercury Morris defined the AFC East in the early 70s. Happily, memory carries the day. Rivalries survive on an emotional level. It’s why realignment left Dallas in the NFC East with Washington, Philadelphia and New York. This week, however, the renewed AFC East rivalry between the Miami Dolphins and New England Patriots has far more meaning than simple bragging rights. The vaunted Patriots have been to eight Super Bowls and 12 AFC Championships since 2001. Their first Super Bowl appearance, in 1985, came the year after the Dolphins last made an appearance. They won that AFC Championship matchup against Miami. In the interim, the Fins reached a championship game just once more, losing to another AFC rival, Buffalo, in 1992. Since the Bills ended their futile four-year Super Bowl run, the AFC East belonged to the Patriots. This season, perhaps this weekend, that could end. Tom Brady and the defending AFC champions are 1-2 on the young season. The Dolphins are undefeated. The teams meet in Foxboro in an early Sunday game that could change how we’ve perceived the division for two decades. With a win, the Dolphins move to 4-0 SU and bury the Patriots in a 1-3 SU hole that makes even a playoff appearance a long shot. Not only would a Miami victory put serious pressure on the Patriots, it’d give Adam Gase’s squad every reason to believe it can contend for a Super Bowl this year. That’s a major power shift. Can the Dolphins go into Foxboro and come away with the W? New England’s lone win this season came at home. Despite their poor start, the Pats are 6.5 point favourites ATS. So, the experts aren’t backing them. No one believes the Dolphins can go to New England and force Tom Brady to cough up AFC East supremacy. Recent trends suggest the Dolphins will at least put up a fight. They’re on a 5-0 run with the OVER against losing teams and 5-1 ATS in their last six after holding an opponent to less than 90 yards rushing. The Dolphins run defence didn’t look too convincing against the Raiders last week but Jon Gruden’s side focussed too heavily on the passing game, allowing Miami to roar back from a first-half deficit to take control in a 28-20 SU win. On the other hand, the Pats tend to respond after defeats. They’re on a 4-1 string with the OVER against winning teams. Bill Belichick’s side is also 5-1 ATS in their last six after a loss while the Dolphins are running 0-6 ATS in New England. The home team’s 11-1 ATS in the last twelve meetings between New England and Miami, the favourite 8-3. Everything points to the Pats pulling their fat from the fire. I hate it when everything or everyone points to a certain outcome. Is Hillary Clinton President? Is a 25-point lead in the Super Bowl insurmountable? Did La La Land win the Oscar? Okay, so the last one’s a little silly. You get the point. I’m backing the Dolphins. New Mexico State at Minnesota Game Preview. Written by College Football Betting Expert Analyst Greg Nelson. Charliessports.com produces it for Football Betting. NCAA Football Expert Weekly Picks are the best in the industry and will continue through the BCS-title game in January of 2019. 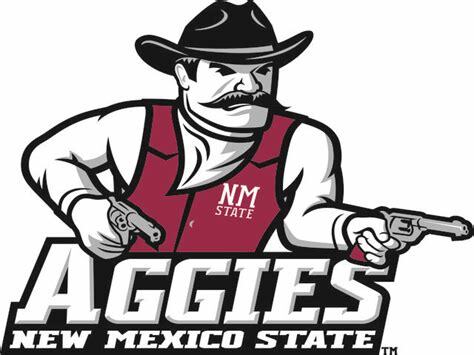 After four years in the Sun Belt Conference, the New Mexico State athletic department decided it would be best to participate as an independent. Coming off of a 7-6 season culminated in a 26-20 bowl win over Utah State, the Aggies lost their 2018 opener 29-7 to Wyoming. After taking the Western Michigan football to new heights P.J. 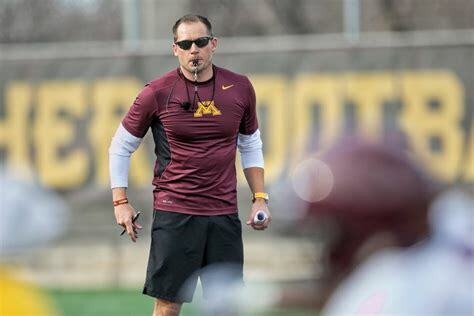 Fleck found the talent as well as competition level to be a bit different in the Big-Ten, and he’ll have a chance to showcase the 2018 version of Minnesota football against a less than formidable opponent. 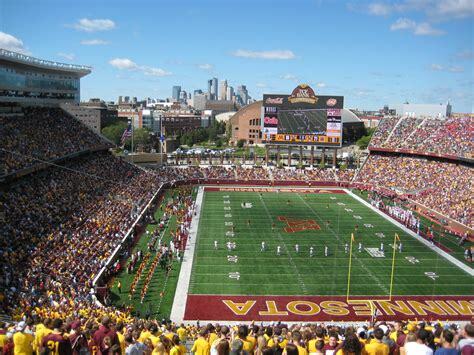 Thursday’s contest is 7:00 PM EST at TCF Bank Stadium in beautiful Minneapolis, Minnesota. The Big Ten Network will be broadcasting. The Opening Betting Line has New Mexico State as a seventeen point road underdog against the point spread. The betting odds total is forty-seven points for Thursday’s season opener. Sixth-year head coach Doug Martin found out what it’ll be like without quarterback Tyler Rogers, running back Larry Rose 111, and NFL fourth-round draft picks wide receiver, Jaleel Scott. Wyoming held the Aggies offense to seven first downs, 135.0 total yards and they went scoreless until the final minute and a half of the game. Martin understands it’s a short week but hopes his squad will respond after last week’s embarrassing loss. Quarterback Matt Romero threw for 140 yards including the meaningless touchdown pass. Defensive coordinator Frank Spaziani watched his front four get dominated the entire game, allowing Wyoming 313.0 yards on the ground with 5.6 yards per carry. The former Boston College head coach must make adjustments, or it’ll be another long night. New Mexico State has dropped four of the last five to the point spread and has stayed under the betting odds total four consecutive games dating back to last season. Being P.J. Fleck was a documentary put together by ESPN, and he stated to be a head coach that you must do it your way; he did it his way in 2017, but the team didn’t respond. 2018 presents challenges in the West division with Wisconsin returning plenty, Iowa will be tough, a good Purdue team, Northwestern is stable and then there’s Nebraska with Scott Frost at the helm. Fleck received bad news in the spring when Running Back Shannon Brooks was declared out for the season with a injury, but Rodney Smith will be able to carry the load Thursday. Wideout Tyler Johnson can get open at will for freshman quarterback Zack Annexstad. The defensive line lost plenty of talent, but they should be able to hold their own against an anemic New Mexico State rushing attack. Minnesota has gone over the total in six of their last seven vs. Teams with a losing record. 2017 College Football Military Bowl ATS Expert Predictions, and Odds: Virginia Cavaliers vs. Navy Midshipmen. Written and authored by NCAA Football Betting Analyst Greg Nelson. Charliessports.com produces it for Football Expert news and notes. College Football Bowl Betting Picks is again winning at a remarkable rate and will continue through the BCS title game in January of 2018. The (6-6) Virginia Cavaliers of the Atlantic Coast Conference Coastal division are in the capital of the “RED LINE STATE” for their bowl contest. Virginia play’s the (6-6) Navy Midshipmen of the American Athletic Conference West division in 2017-18 College Football Bowl action. Game time is 1:30 PM EST on Thursday, December 28, 2017. The ESPN Television Network will broadcast the game. The teams will play at the Navy-Marine Corps Memorial Stadium in Annapolis, Maryland. The betting experts at Charliessports.com understand the American Athletic Conference better than any Sports Handicapper in the industry. There is also a lot of familiarity in of the ACC. Virginia last won a bowl game in 2005 and will be ready to take the field with a vengeance. Navy had an average regular season by their standards. The Opening Betting line has the Navy Midshipmen as a one-point underdog against the spread on their home field. The betting odds total is fifty-two points for Thursday’s game. The Virginia Cavaliers finished fifth in the ACC Coastal division and are 6-6 to the point spread. Virginia began the first half season with a signature road win at Boise State. However, the Cavaliers hit a wall winning just one of their final six football contests. After winning only two games last year, his initial season in Charlottesville the former BYU head coach is bringing excitement back to the program. The Cavaliers offense put up just a little over twenty-three points per game this season. Starting signal-caller, and East Carolina transfer Kurt Benkert threw for a little over 3,000 yards this season. Defensively the Cavaliers ranked sixty-seventh nationally. Virginia fans have a reasonably short drive plus there is a sufficiently large fan base in the state of Maryland. The key to a Cavaliers victory is to defend the triple option of the Navy offense. Bovada.Lv has the Virginia Cavaliers over/under wins at five games for the 2017 College Football season; they went over. The 2017 Navy Midshipmen lost six of their last seven down the stretch of the season including annual Army rivalry. Injuries to prominent players were part of the problem on both sides of the football. Head Coach Ken Niumatalolo is in his tenth full season on the sidelines at the military institute, and they’re third in the American Athletic Conference. As usual, the Midshipmen practice hard play and discipline on both sides of the football. The talent base is inferior to the Cavaliers, but the intensity level will be epic for Navy. Linebacker Micah Thomas is the leader on defense. Navy must chew up the clock with long drives and must avoid penalties putting them behind the sticks. They will be up for the task on the other side of the ball. Bovada.Lv list the 2017-18 Navy Midshipmen win total at Over/Under seven games, a victory will give them seven. Winning, NCAA Football Military Bowl Picks. Free Pick. Side And Total. Also, Play Online Poker plus Other Casino Games and enter some of the best Tournaments on the World Wide Web. Wager Here. Winning NBA Expert ATS Predictions, and Odds For Thursday, December 7, 2017: Los Angeles Lakers at Philadelphia 76ers. Written and authored by National Basketball Association Expert Analyst Bobby Wallace. Charliessports.com produces it for Basketball news and notes. NBA Daily Picks are the best in the business and again will win again at an unbelievable rate through the NBA Finals in June of 2018. The (8-15) Los Angeles Lakers of the Western Conference Pacific division will travel to the “CITY OF BROTHERLY LOVE” for an out of conference matchup. The Lakers take on the (13-10) Philadelphia 76ers of the Eastern Conference Atlantic. Tip-off is 8:05 PM EST. The game is on Thursday, December 7, 2017. The teams will play at Wells Fargo Center in South Philadelphia, Pennsylvania. The TNT Television network will broadcast the game. The Los Angeles Lakers and Philadelphia 76ers have some of the best young talents in the National Basketball Association. Los Angeles will be seeking revenge on a home loss to the 76ers last month. The Lakers are finding ways to get more productions out of their youthful lineup. The young 76ers have fans in the “DELAWARE VALLEY” excited and it’s showing with attendance the best since the Allen Iverson era. The Opening Betting line has the Los Angeles Lakers as a seven and a half point road underdog against the spread. The betting odds total is 221 points for Thursday’s contest. The Los Angeles Lakers are currently on a five-game losing streak both teams are idle on Wednesday and should be well rested. Head Coach Luke Walton and his staff understands how good they are but insists they should are still competing for a playoff spot. The organization has the former NBA standout Magic Johnson as the General Manager, and rumors are he’s courting LeBron James. Los Angeles can put points on the scoreboard, but the defense ranks near the bottom of the league. Second overall draft pick Lonzo Ball is receiving his share of criticism for deficient shooting and below average defense. Rookie Kyle Kuzma is the team’s leading scorer and is playing like a seasoned veteran. The Lakers will be looking for revenge but it’s a long season, and the staff must keep them playing fundamentally sound basketball at both ends of the floor. Bovada.Lv lists the 2017-18 Los Angeles Lakers total wins at thirty-three and a half for the regular season. The 2017-18 Philadelphia 76ers are 1-4 ATS their last five. Philadelphia had a severe home loss to Phoenix on Monday, December 4th. Philadelphia is third in the Atlantic division behind first-place Boston, and second place Toronto. Philadelphia will be competing for a playoff spot this season. Head Coach Brett Brown is doing a masterful job on the bench, and it’s been a long time coming. Ben Simmons and Joel Embiid are merging stars. 2017 first overall draft choice Markelle Fultz will probably n be ready until after the beginning of the year. The real story is the play of former free agent Robert Covington who is a fan favorite and can put the ball in the basket with consistency. The key to a 76ers victory is to put the sad loss behind them and focus. Bovada.Lv lists the 2017-18 Philadelphia 76ers Over/Under win total at thirty-seven and a half games. Free Pick. Side And Total. Also, Play Online Poker plus Other Casino Games and enter some of the best Tournaments on the World Wide Web. Bet Here. Free NFL ATS Picks, and Odds For October 8, 2017: Seattle Seahawks at Los Angeles Rams. Written and authored by National Football League Expert Analyst Greg Nelson. Charliessports.com produces it for Football Betting news and notes. Our 500-star NFL Point Spread Predictions are again winning at a remarkable rate and will continue to the annual Super Bowl Game in February 2018. The (2-2) Seattle Seahawks of the National Football Conference West Division will be in “TINSEL TOWN” for a week five divisional matchup. Seattle play’s the (3-1) Los Angeles Rams also of the NFC West in 2017 National Football League action. Game time is at 4:05 PM EST on Sunday. October 8, 2017. The CBS Television Network will broadcast the game. The teams will play at the Los Angeles Memorial Coliseum in Los Angeles, California. Winning Football Handicapper has a theoretical insight on the important game as the Seahawks look to inch closer to the division lead. Seattle did a great job of making the second-half adjustment last Sunday Night. The Los Angeles Rams are one of the surprise teams so far in the season. Season-One in Southern California was a disaster, but team members are feeling more comfortable in the 2017-18 season. The Opening Betting line has the Los Angeles Rams as a Two And A Half Point Home Underdog Against The Point Spread. The Betting Odds Total is Forty-Seven And A Half Points for Sunday’s contest. The Seattle Seahawks beat the Indianapolis Colts in front of a National Television audience last Sunday Night. Seattle trailed the game at the half before scoring a franchise-high thirty-six points in the third and fourth quarters. Seattle also got their first point spread cover of the season. The “HAWKS” have lost their last four straight up against the Rams on the road. Quarterback Russell Wilson threw for nearly three hundred yards with two touchdowns and a pair of interceptions in the victory. However Rookie Running Back Chris Carson broke his leg in the final quarter and will be out until December. The Seahawks defense scored twice in Sundays win over Indianapolis. However, there were a few casualties on defense as Cliff Avril is out indefinitely with numbness in his arm. Head Coach Pete Carroll will have the Seahawks suspect offensive line ready against a ferocious Rams defensive front. The key to a Seattle victory is to play aggressively from opening kickoff by making bone-crushing hits. Bovada.Lv has the Seattle Seahawks Over and Under win total at Ten And A Half Games for the 2017-18 season. The 2017-18 Los Angeles Rams are off to a fantastic start to the season. The first year Head Coach Sean McVay is one of the youngest coaches in the National Football League. The Miami University alumni have fans in the second largest city in America ready to compete for a postseason slot in the 2017-18 season. Running Back Todd Gurley and quarterback Jared Goff are the headliners on offense. The tandem did a magnificent job in last Sunday’s road upset win over “AMERICA’S TEAM” Dallas Cowboys. When talking about the Los Angeles Rams the first thing that comes to mind in the ferocious defensive line led by Aaron Donald and Robert Quinn. Defensive Tackle Michael Brockers can also be mentioned in the conversation. The Los Angeles Rams offense must be ready for physical games against the Seattle defense; they must not get intimidated. Bovada.Lv has the Los Angeles Rams at Over Five And A Half Wins for the 2017-18 season. Free Pick. Seattle-2 And A Half Points. Also, Play Online Poker plus Other Casino Games and enter some of the best Tournaments on the World Wide Web. Wager Here. Winning ESPN Wednesday Night NCAA Football Predictions, and Odds For October 4, 2017: Arkansas State Red Wolves at Georgia Southern Eagles. Written and authored by College Football League Expert Analyst Bobby Wallace. Charliessports.com produces it for Football Betting news and notes. Our NCAA Football 500-star Signature Picks are again winning at a remarkable rate and will continue to the BCS National Title Game in January 2018. The (1-2) Arkansas State Red Wolves of the Sun Belt Conference will make the trip to the “PEACH STATE” for a week five conference matchup. Arkansas State will play the (0-3) Georgia Southern Eagles also of the Sun Belt in 2017 NCAA Football action. Game time is at 8:00 PM EST on Wednesday. October 4, 2017. The ESPN2 Television Network will broadcast the game. The teams will play at Allen E. Paulson Stadium on campus in Statesboro, Georgia. The Best Football Handicapper has an unreal Point Spread record when going on or against both Arkansas State and Georgia Southern. Arkansas State is the second most popular institute in the “NATURAL STATE.” Head Coach Blake Anderson and his staff must get the team ready for Sun Belt play after a shaky showing against nonconference opponents this season. At one point in this decade, Georgia Southern could compete with most BCS schools on the gridiron. However, things are now different as the Eagles look for their first victory of the season. The Opening Betting line has the Arkansas State Red Wolves as a Seven Point Road Favorite Against The Point Spread. The Betting Odds Total is Fifty Five Points for Wednesday Nights contest. The 2017 Arkansas State Red Wolves 2-1 Against The Point Spread through three games this season and the last two games have stayed under the betting odds total. Arkansas State can score points, but they are allowing FBS opponents forty-three and a half points per contest. The Red Wolves gave up just 3-points to subdivision Arkansas Pine Bluff this season. Arkansas State best performance this season was against Nebraska in the season opener. The Coaching staff will preach containment on defense against the veer offense of Georgia Southern. Junior quarterback Justice Hansen has 985 passing yards this season with ten touchdowns and two interceptions. Arkansas State has a healthy balance on the offensive side of the football; they can pass and throw with efficiency. The Red Wolves defense is a work in progress, but there is talent. Arkansas State beat Georgia Southern 27-26 last season in Jonesboro, Arkansas. The key to a Red Wolves win Wednesday Night is to compete on both sides of the football, and the offense must impose their will. Bovada.Lv has the Arkansas State Red Wolves Over and Under win total at Seven And A Half Games for the 2017 season. The Georgia Southern Eagles have not only earned a football game this season, but they are also 0-2-1 Against The Spread. Auburn and Indiana put up a total of ninety-three points on the Golden Eagles defense. Fans are already calling for the firing of second-year head coach Tyson Summers who has the worst two-year record of any coach in school history. Georgia Southern has built a football-loving culture; the team takes a bus ride around the city of Statesboro on school buses before every home game. Cincinnati, Ohio native, and star Running Back L.A. Ramsby is the best player on the roster. The Senior ran for a season-best 108-yards in a road loss to Indiana. Starting quarterback Shai Werts is not known as a great passer, but the staff trusts him to put the football in the air. Georgia Southern runs an option style of offense. Defensively the Eagles have challenges but should be ready for Arkansas State. The Georgia Southern Eagles must play a grind out style football game, keeping their defense fresh and the Red Wolves offense off of the field. Bovada.Lv has the Georgia Southern Eagles at Over Five Wins for the 2017 season. Winning, NCAA Football Point Spread Predictions.